Hi guys! 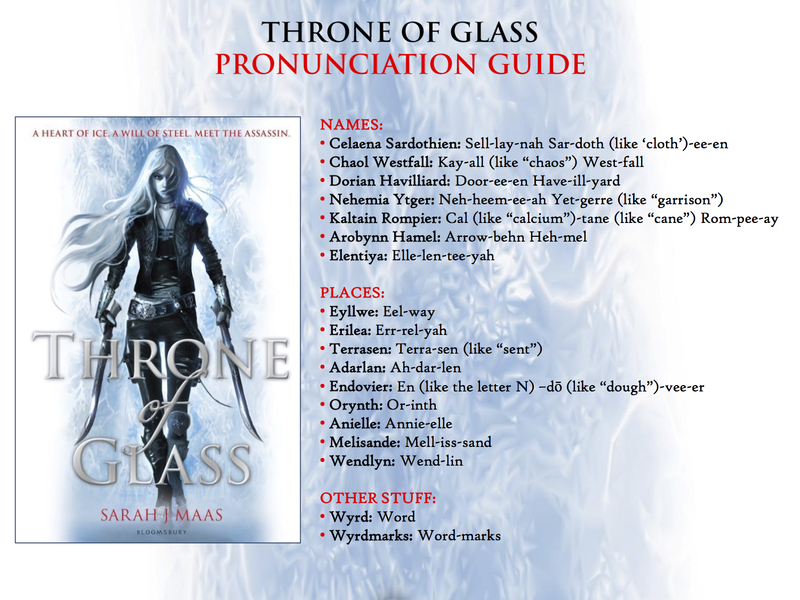 Welcome to the 2nd discussion for our January Read Along: Throne of Glass by Sarah J. Maas! A huge thank you to everyone who joined us for chapters 1-28 a few weeks ago! We cannot wait to discuss (or rather swoon over it) the end of this book together! 1) Celaena receives help from many sources throughout the novel. Of all these character, who do you think helped her the most? What does he/she do or teach Celaena that further develops her as a character? 2) Who do you think is Celaena was before Arobynn found her? 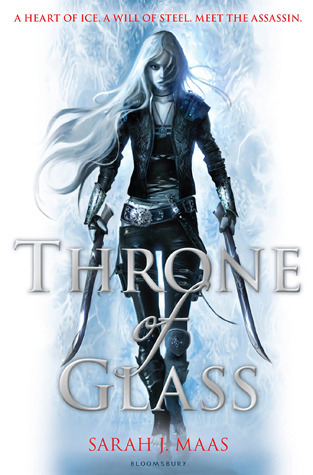 3) Are there any aspects of Throne of Glass that you wished Sarah had gone into more detail about? 4) What are your thoughts about the kinda love-triangle? Are you favoring Dorian, Chaol, or is it too soon to tell where you loyalty lies? 6) Who's your favorite character so far? Do you imagine this could change throughout the series? 7) How surprised were you by who was behind the Champion murders? Did you guess before it was revealed? 8) What do you think of Nehemia NOW? And her friendship with Celaena? 9) How satisfied were you with the story as a whole? Do you plan to continue the series? "We all bear scars, Dorian. Mine just happens to be more visible than most." But try as she might, all she could think about was the half-starved, hopeless assassin who'd been dragged out of Endovier one autumn day by a snarling Captain of the Guard. What would she have said to the prince's bargain, had she known she would come to stand poised to lose so much? Would she have laughed if she'd known that other things - other people - would come to mean as much as her freedom? He was done with politics and intrigue. He loved her, and no empire, no king, and no earthly fear would keep him from her. No, if they'd tried to take her from him, he'd rip the world apart with his bare hands. And for some reason, that didn't terrify him. "Mock me again," she spat at Verin, "and I'll do that with my sword the next time." She turned from him, and found Brullo's face slack. "Here's a lesson for you, weapons master," she said, stalking past him. "Give me some real men to fight. Then maybe I'll bother trying." She moaned into her pillow. "Go away. I feel like dying." "No fair maiden should die alone," he said, putting a hand on hers. With each day, he felt the barriers melting. He let them melt. Because of her genuine laugh, because he caught her one afternoon sleeping with her face in the middle of a book, because he knew that she would win. "With you scowling at everyone, no one will ask me to dance." Chaol's eyes lost focus for a moment. Then Celaena laughed, and Dorian kept staring at her. The prince hadn't once taken his eyes off her. Dorian's expression was full of--something. Joy? Wonder? His shoulders were straight, his back erect. He looked like a man. Like a king. Cleana was held in place. She could feel the name fall upon her like a shimmering veil. This was unconditional love. Friends like this did not exist. Why was she so fortunate as to have found one? Elena took a step toward her. "You could rattle the stars," she whispered. "You could do anything, if you only dared. And deep down, you know it, too. That's what scares you most." 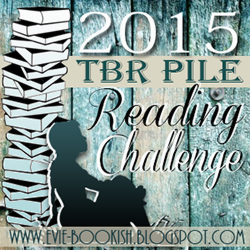 If you haven't had a chance to sign up for the 2015 TBR Pile Reading Challenge, you will have another opportunity to do so on February 25 when Evie posts her January - February Wrap Up! 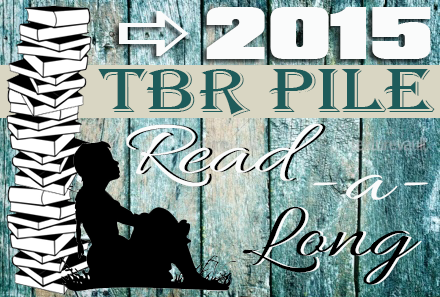 Don't forget that everyone who takes part in our January TBR Pile Read Along is going to get 5 extra entries into our July giveaway for the TBR Pile Reading Challenge!